There are three workshops conducted by HR department on 1st, 2nd & 9th August 2018. 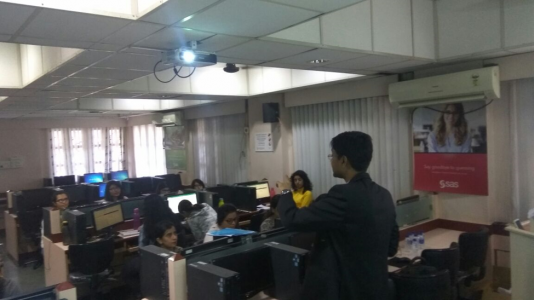 The Objective of the Program was to provide Employability benefit to the HR students. Of the different profiles available as a choice for HR professional, PMS administrator, C &B administrator, HR Analytics are considered to be niche skills in HR domain. 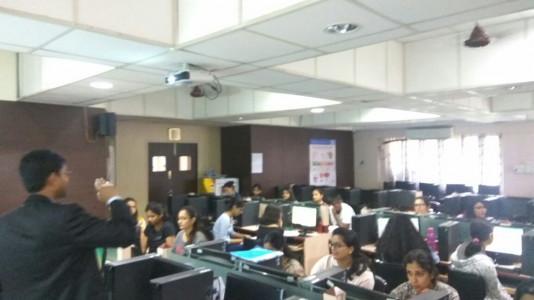 These Skills cannot be performed without a thorough knowledge of MS Excel in HR Domain.Performance Management System like designing a Goal Setting form using Balance Score card, Year end evaluation Form, evaluation of department score, management score and composite score. An in detail practical application and appraisal process was explained through excel sheets. 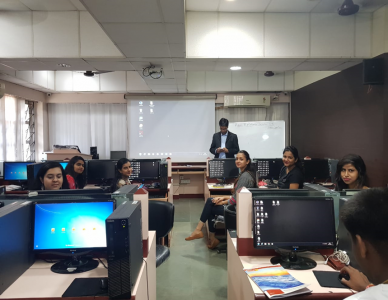 The session covered various aspects of Compensation and Benefit like grading system, continuous scale, moderation sheet, percentile learning and internal compa ratio with the help of Microsoft Excel.